Wrongful death claims are oftentimes the sole source of financial security for surviving family members and dependents of those who are deceased as a result of the negligence, default, or intentional wrongdoing of a person or entity. If the deceased would have had sufficient grounds to recover damages on behalf of himself if he had not died, the responsible party is likely liable to provide compensation for his death and accompanying expenses. Nothing can bring your loved one back to you. However, you are entitled to collect financial compensation from the party responsible for the death. Angotti & Straface Attorneys at Law helps families throughout all of West Virginia pursue justice for all types of wrongful death claims. 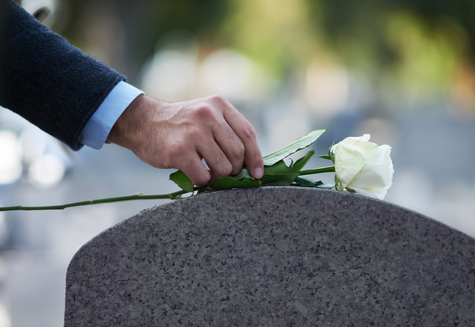 What is a Wrongful Death Claim or Lawsuit? If you are the personal representative of the deceased, our law firm will assist you with filing a wrongful death lawsuit. Claims may be filed for deaths that have resulted from any underlying wrong for which an individual, manufacturer, or other wrongdoer has committed, including property defects, accidents, intentional acts, medication errors, negligence, and other catastrophic events, which have resulted in death. Following a successful claim, financial compensation will be distributed to the surviving spouse, children, siblings, and others who were dependent on the support of the deceased. Wrongful death claims can include damages for the expenses incurred for medical care, hospitalization, treatment, funeral expenses, sorrow, mental anguish, and loss of income, society, comfort, guidance, companionship, protection, assistance, and care. There is a two year statute of limitations to file your claim. The wrongful death legal team of Angotti & Straface has secured many substantial financial settlements for our clients in wrongful death lawsuits since 1952. On behalf of our entire law firm, we offer our sincere condolences for your loss. We will not back down or accept inadequate compensation for your loss. Contact us for a free initial consultation and review of your case. Our attorneys and staff members are compassionate. We are always here for you to answer your legal questions and provide some sense of peace of mind via legal action during this extremely difficult time. Let us assist you. We hold the individual or entity responsible for causing the death of your loved one, by wrongful action or neglect, financially responsible for their actions. Call: (304) 292-4381. Our law firm serves families in Charleston, Huntington, Parkersburg, Morgantown, Wheeling, and throughout West Virginia.